Resealable bag limits spread of lice. For use with multimedia computers. 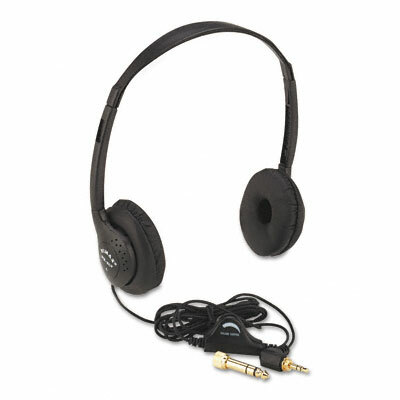 Swivel (90°) ear pieces. Foam ear cushions and tough, adjustable molded plastic headband. 6 ft. cord with stereo plug and gold-plated 1/4" screw-in stereo adapter. Resealable bag limits spread of lice. Impedance: 32 ohms; Freq.